please contact our client services department clientservices@cropib.com. Leave the highway A10 via the exit Watergraafsmeer/ Diemen (S113) and follow the direction to Centrum/ Watergraafsmeer. This street is called ‘Middenweg’ and will change into ‘Linnaeusstraat’. KIT is located at the end of this street, at the corner with the Mauritskade. 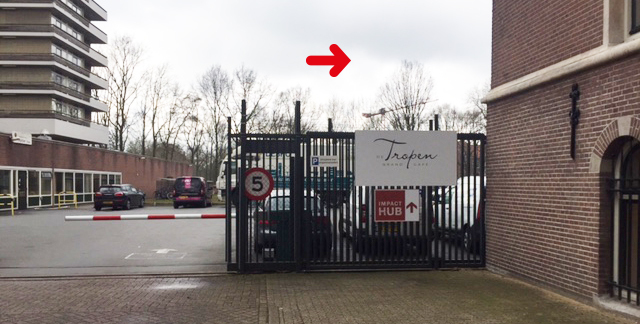 At 100 meters of KIT is a taxi rank, which is situated at the Linnaeusstraat, in front of the Amsterdam Tropen Hotel. for a small amount. In the area of KIT | Meetings & Events are also enough on-street parking places available. In the area of KIT | Meetings & Events are also enough on-street parking places available. Entrance next to the Tropen Hotel.